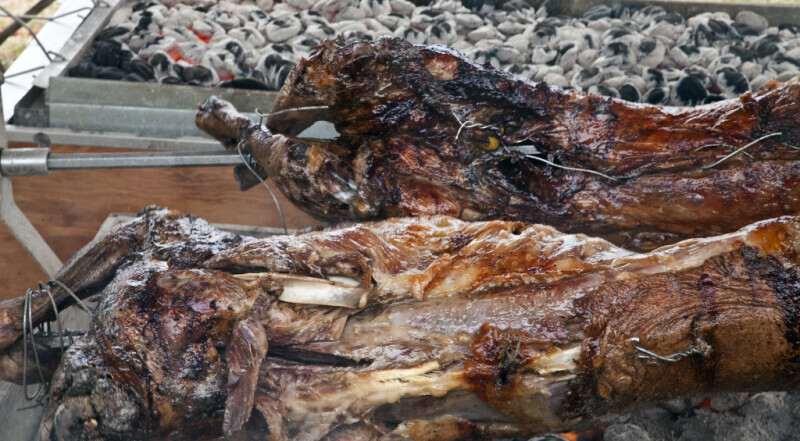 These lambs are roasting over a bed of coals. The lamb is skewered, on a spit, so that the cook can turn the lamb. The lambs appear to have been trussed with metal wire.